Sakai Community DocumentationSakai 19 User Guide (English) RubricsHow do I view my rubric feedback as a student? 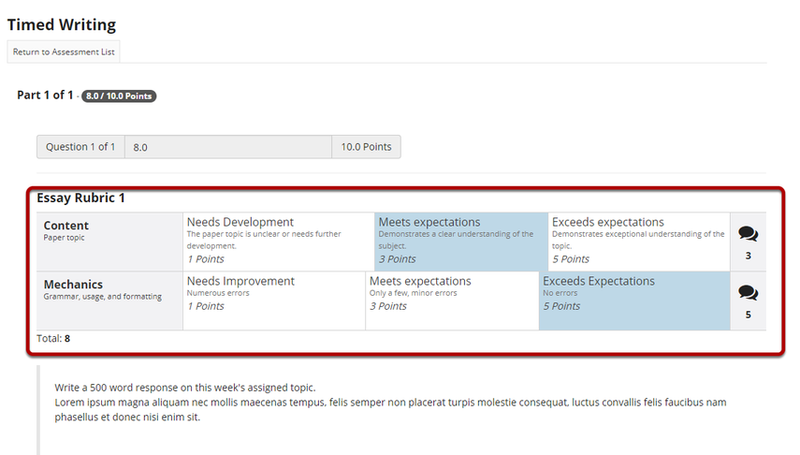 Students may view rubric feedback within the tool where the rubric was used. In other words students can go to Assignments to view Assignment Rubrics, Gradebook to view Gradebook Rubrics, and Tests & Quizzes to view Assessment Rubrics. 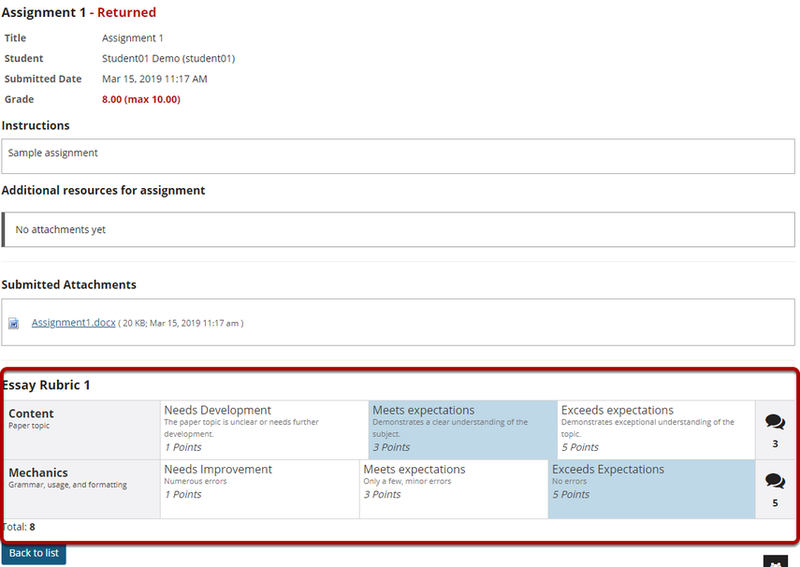 The graded assignment rubric appears at the bottom of the screen. Go to the Gradebook tool. Select the rubric icon for a graded gradebook item. Go to the Test & Quizzes tool. Select the Feedback link for the assessment. Prev: How do I grade a gradebook item using a rubric? Next: What is the Search tool?